I was recently sent some pieces from Jewellery Box which fit my criteria perfectly. Dainty, pretty and practical, they've become my new go to everyday jewellery items along with some long standing favourites. I've also started leaning towards silver over gold much more - silver just seems (dare I use this word yet again?) daintier (yep I said it). The one downside of dainty jewellery is how do you make it stand out? Sure it's small and cute, but that doesn't mean it has to go unnoticed or get lost in the rest of your outfit. So I've been trying to find ways to make sure my minimalist jewellery that I love so much stands out just as much as if I were wearing a statement piece. This arrow necklace* is just so cute, goes with everything and because the chain is nice and short I tend to forget I'm actually wearing it until I spy it in a mirror, which is fine by me because I get the bonus of wearing something that looks cute, but most definitely doesn't get in the way. To make this stand out I've been layering it with a choker that sits a little higher up. I adore the look of layered necklaces and these two go perfectly together. Because the choker is black and stands out itself, it draws attention towards the arrow necklace too, meaning that people notice it more - mission accomplished! I've had so many compliments on this necklace and I'm not surprised because it really is too cute. 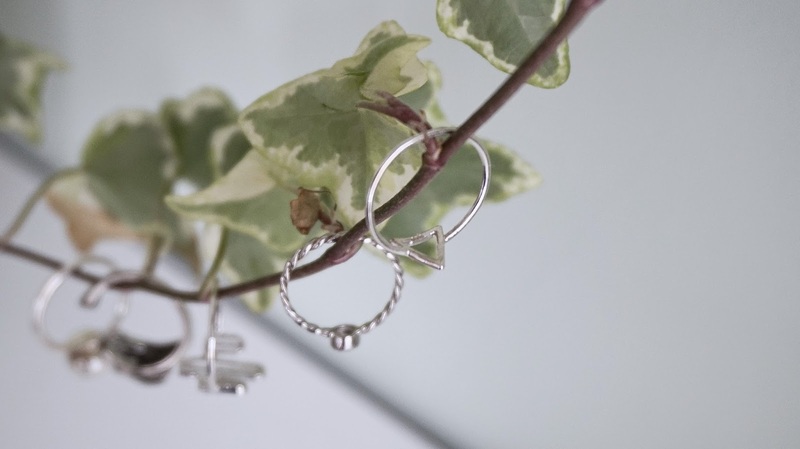 Rings are probably my favourite item of jewellery so I tend to wear quite a few at a time. I've been lucky enough to add these two beauties from Jewellery Box to my collection and have added them to my everyday hand wear, which also includes the cutest cactus ring from Tessie's and a couple that were gifts so I don't know where they were from! The opal ring* is actually the June birthstone, which couldn't be further away from my birthday, but I loved the simplicity and prettiness of it too much to not get it. 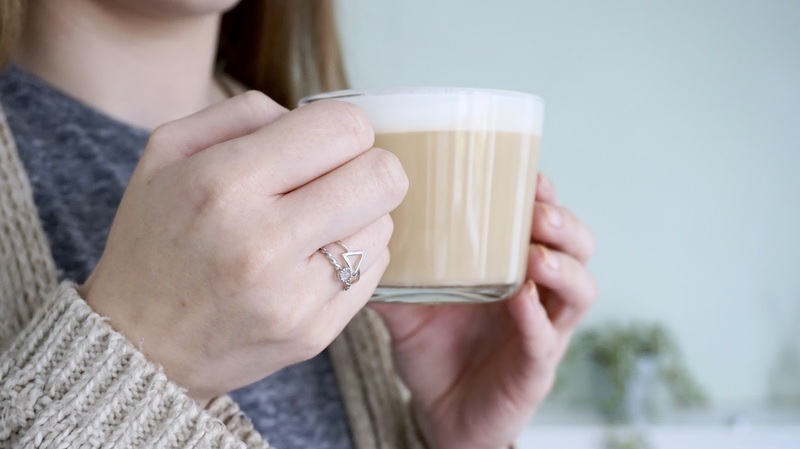 The triangle ring* is just so cute and for some reason reminds me of the Deathly Hallows (and how cool would a Deathly Hallows ring be?). I love wearing these on the same finger as they stack perfectly and because I like wearing so many rings at once it's handy (haha geddit?) to have ones that I can wear on the same finger. Because all the rings I wear are (please can someone give me a synonym?!) dainty it'd be easy for them to blend in if I were wearing just one, but I find that because I stack them and tend to wear a lot at the same time it draws attention to my hands as a whole and therefore the rings individually. 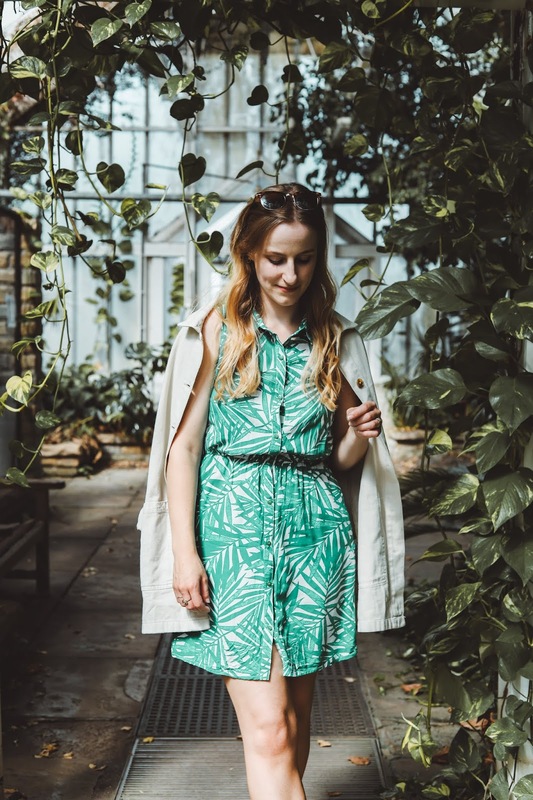 Generally I've found that layering and stacking small and cute jewellery (small and cute is the best synonym I could think of) is a great way to make it stand out, although if that's not really your thang then another way I find helps is to keep the rest of my outfit quite simple. I find that wearing a plain v-neck top and a cute necklace draws attention to the necklace - equally bare arms with one dainty bracelet ensures that it stands out too. Now do I get a prize for the most used word ever (dainty) in a blog post? How do you make sure your dainty jewellery stands out or are you a fan of more statement pieces? Some of the items in this post were gifted, but views and love of dainty jewellery my own. That ring is so nice! Its both my childrens birthdays in June, so it would be rude of me not to... Right! Lol. I love dainty jewelry, just find it so much more feminine, and when you have a slight frame it just compliments it so well. I always go for dainty stuff but never thought about layering it up. The necklace/choker looks fab! I have a bit of a mix of jewellery, some real statement pieces for special occasions and some more "dainty" (there's that word again) pieces for every day. The only rings I ever tend to wear are my wedding rings as I work with computers a lot and hate things on my hands and wrists. I love that arrow necklace - I've seen them before and think they're really pretty. I love dainty jewellery, it looks so understated and pretty. I have a few Jewellery Box pieces myself, it's such a cute and affordable brand. Glad it's not just me who has a thing for triangle items, love the Deathly Hallows reference too! You've been sent some gorgeous pieces here Amy!! I'm very jealous, especially of that beautiful arrow necklace! I really like the creativity with threading the pieces onto the house plant, it's a cute idea! I'm also a dainty jewellery lover, something simple but understated is the best I think! Thank you for sharing! What beautiful jewellery! I usually just wear the same bracelet and earrings but this has definitely inspired me to branch out! I love how you style your jewellery ! I love dainty jewellery. I think stacking them really finishes it off. I love layeringtoo, and I loved your jewellery! The necklace is so delicate, so sweet! I like silver and the rings are so sweet! Loved the pictures, so lovely! Hope you have a lovely weekend, enjoy it - I saw a big piece of art in Hull yesterday (on TV) and thought of you: "she must have seen it, of course"! As ever your photos are amazing Amy! I think they looked nice round the houseplant! Dainty jewellery is my favourite and that arrow necklace is right up my street! This piece is definitely something I'd consider buying! This jewellery looks like some of the pieces sold in Tessies! Dainty jewellery is perfect for me because I'm petite and sometimes it can overwhelm me if it's too big! Until I saw the last line of this, I was going to make a joke about how many times you said 'dainty' but there's no other word for it! The pieces you got were gorgeous, I've had my eye on Jewellerybox for a while now, might have to pick up a few bits myself! Beautiful photos too, I agree, jewellery is hard to capture!